Don’t let your mind or anyone else bully your body. Body shaming is not something we should ever approve and never let anyone else decide how you look. Your body is beautiful just like your heart and soul and you should accept it the way it is, but never ever forget to keep it healthy. Here are the top 3 tips to stay healthy and celebrate your body. When you have a happy heart and a positive mind, it is bound to reflect on your body. Research have shown that a happy and positive mind boost our immunity system and helps in improving our overall health. Never ever think negative about yourself or anyone else if you want to have a beautiful life. Find some quiet time and engage yourself in meditation. Meditation will not only relax you but will also help you remove all the negativity from your life. Improper eating habit can lead to various health problems and so eating proper meals is the best way to love your body back. Over eating or eating after long intervals is not a healthy practice and needless to say it is never kind on your body. 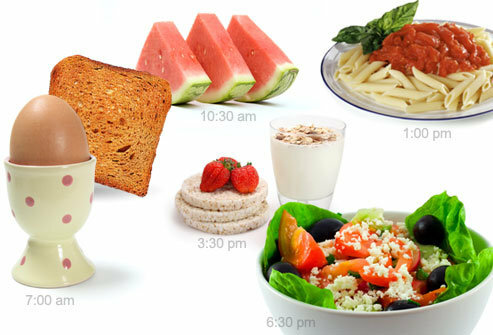 What you eat, when you eat it and how much you eat can affect your metabolism and elevate your energy levels steadily. Limit yourself to 5 meals day and not more than that or lesser than that. This will help you manage your weight, keep you cool, maintain your focus and avoid food cravings and overeating. Many of us have the tendency to exercise only when there is a weight issue of health issue, but we all know, that’s not how a healthy body works. Irrespective of your age, body shape or gender, one must exercise daily. Exercising is the best way to love your body back by keeping healthy, flexible and beautiful.